Southampton, PA, USA, November 24, 2015 – The National Aerospace Training and Research Center (The NASTAR® Center), announces `open enrollment period` for research subject volunteers to participate in the latest FAA COE CST (Federal Aviation Administration Center Of Excellence Commercial Space Transportation) supported study aimed at improving human health and safety in space. The research study, titled Commercial Spaceflight Passenger Training Methods and led by the University of Texas Medical Branch, focuses specifically on the safety training methods that will be used to train the world`s future suborbital spaceflight passengers. Volunteers are now invited to sign up as research subjects in the study by registering here: www.utmbamc.com/research.cfm. Selected volunteers who meet the requirements listed below will receive free suborbital spaceflight training and experience a simulated suborbital spaceflight at The NASTAR Center using its high-performance centrifuge-based simulator. This simulator is capable of generating high onset-offset, sustained acceleration (“G”) forces similar to those experienced in high-performance aircraft or commercial spacecraft. 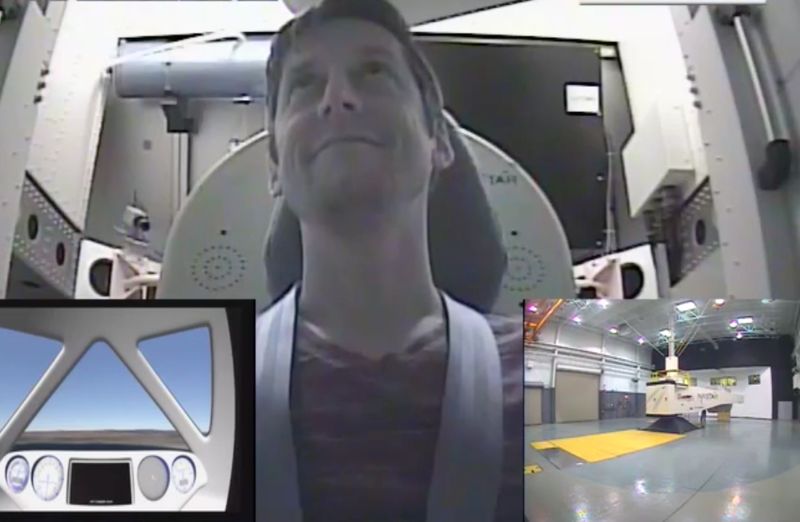 If you choose to volunteer for the study, you will spend a maximum of 2 days at The NASTAR Center (located at 125 James Way, Southampton, PA 18966) where you will be trained on various human factors aspects of suborbital spaceflight and then evaluated (via questionnaires, physiological sensors, and basic tasks) during a full-scale version of a commercial spacecraft profile. The maximum G-level you may experience is up to +4Gz (acceleration aligned in the head-to-toe direction, up to 4 times the force of gravity) and up to +6Gx (acceleration aligned in the chest-to-back direction, up to 6 times the force of gravity). During the study, you will be trained on certain techniques that are commonly used to counteract the physiological effects of G-forces. If you decide that you no longer wish to participate in the study, you can withdraw at any time and for any reason. There is no cost or penalty should you elect to withdraw. Note: There is NO compensation for time, and no reimbursement for expenses such as travel or lodging, associated with your participation in this study, though the centrifuge experience itself is free to participants. You will get to experience a hyper-gravity, high-fidelity, simulated space launch produced by the high-performance centrifuge simulator used to train pilots and commercial astronauts. The knowledge obtained from this research study may serve to improve future suborbital spaceflight training protocols. Must be able to commit to up to two full, consecutive, days of training (9am – 4:30pm). Training time is based on the training group you are assigned to and cannot be pre-selected. Must be able to show up on time and provide own means of travel, accommodation, etc. for the full duration of the study. If you, or anyone that you know, is interested in volunteering to be a research participant, please visit the UTMB website to sign up or learn more.